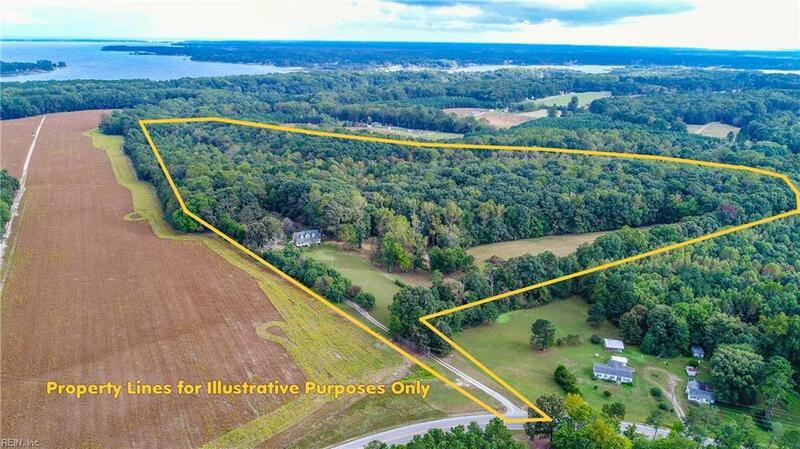 545 Stampers Bay Rd, Middlesex County, VA 23071 (#10223869) :: Abbitt Realty Co. 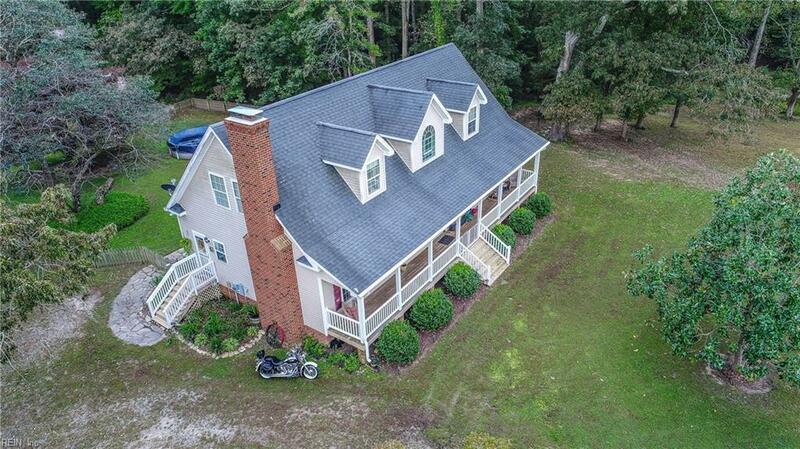 True Rivah Country living in this 3BR 3.5 BA modern farmhouse nestled in 30+ acres with unmatched privacy & endless blue skies. 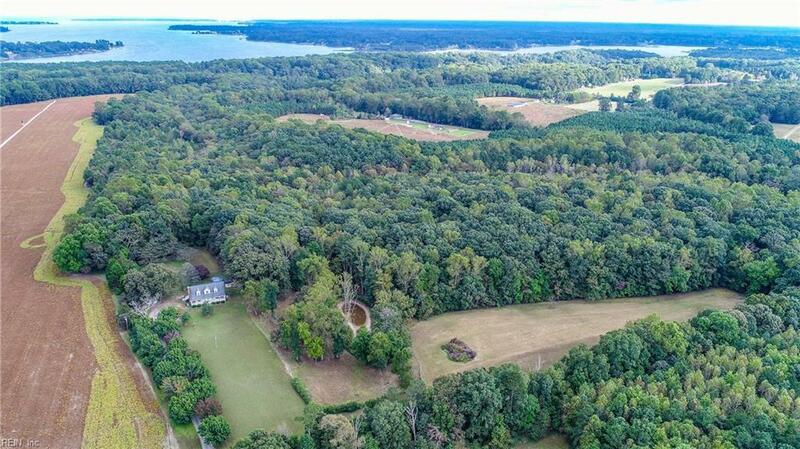 Tree-lined drive, rolling landscape w/ hardwoods, fruit, pecan & blk walnut trees. Sweeping views from a welcoming front porch. 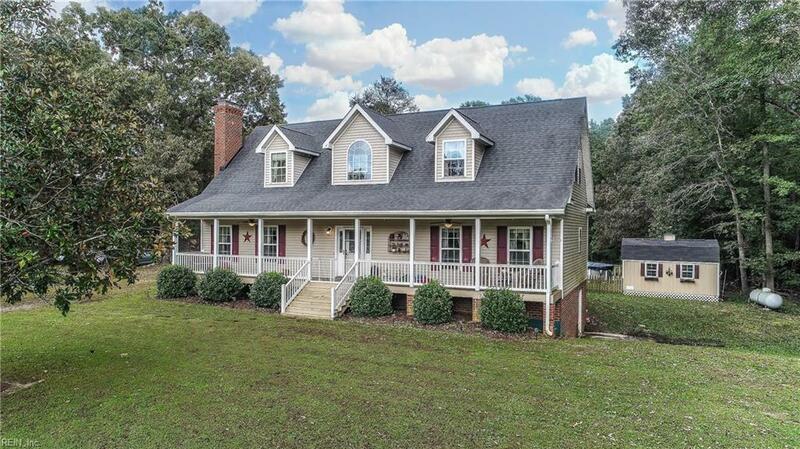 Two-story foyer with dramatic center staircase, & cozy LR with wd burning FP. Island kitchen w/ dbl ovens & pantry overlooks expansive backyard with above ground pool and fenced area + deck. Gigantic oaks with rope swings suggest a bygone era. Sep. dining room. 1st flr Master BR + ensuite bath, dbl vanity, jetted tub, sep shower, WIC + 2nd closet. Upstairs are 2 spacious BRs, each with its own full bath & WIC. Full, partially finished basement (1482 SF) is ready for your design ideas. Wd stove is vented to provide convection heat to upper floors. Handsome Liberty safe conveys. 7 gorgeous acres have been cleared with pond nearby. Bordered by natural spring fed streams and filled with abundant wildlife. The possibilities are endless.